Known for being the hub of horse racing, and the state behind the iconic Kentucky Fried Chicken brand, Kentucky offers many unique and memorable experiences. Its popular cities, Louisville, Lexington, and Frankfort, are rich in Civil War history and Bluegrass culture. For natural attractions, Kentucky is known best for having one of the largest cave systems in the United States. Here are the best places to visit in Kentucky. 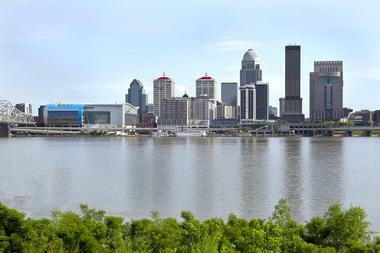 Louisville is Kentucky's largest city and one of the oldest cities west of the Appalachian Mountains. Founded in 1778 by a military official named George Rogers Clark, Louisville is attached to some of America's most famous companies and events, including Kentucky Fried Chicken, the Kentucky Derby, and Louisville Slugger baseball bats. Lexington is known as the “Horse Capital of the World.” Situated deep in Kentucky's Bluegrass region, Lexington has several main attractions, including the Kentucky Horse Park, The Red Mile and Keeneland race courses. 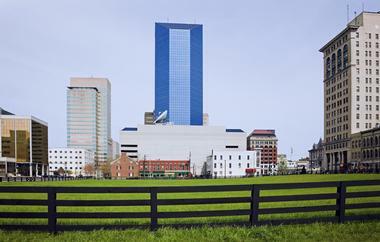 Outside of the equestrian scene, the city is known for Rupp Arena, Transylvania University and the University of Kentucky. 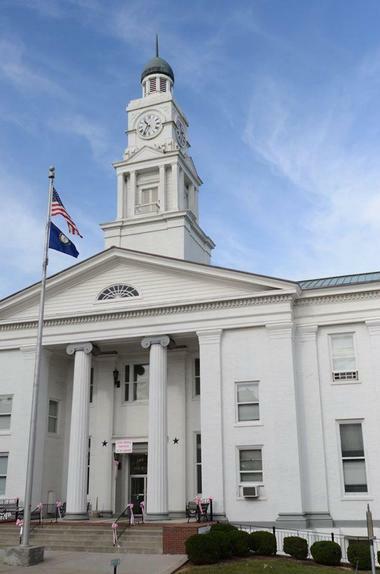 Bowling Green is a historic city that has been named by Forbes Magazine as one of the “Top 25 Best Places to Retire in the United States.” Steeped in Civil War history, Bowling Green was once the provisional capital of Confederate Kentucky. The city boasts some famous museums such as the Kentucky Museum and Library, the National Corvette Museum, and the Historic Railpark and Train Museum (L&N). Bowling Green's economy is bolstered by the presence of massive General Motors and Fruit of the Loom production plants. For outdoor recreation, visitors can check out the Civil War Discovery Trail, the Duncan Hines Scenic Byway, and the Low Hollow Bike Trail. 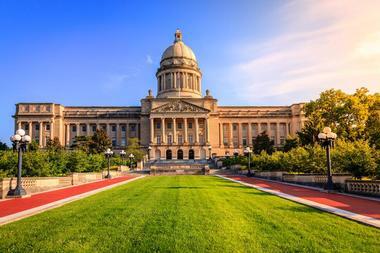 Frankfort, the capital of Kentucky, is a scenic city nestled alongside the Kentucky River. In 1792, shortly after Kentucky became a state, a group of five commissioners came together to identify a capital for the new addition to the Union. Several communities vied for the title, but Frankfort was chosen because of its ideal location. Owensboro is the fourth-largest city in the state of Kentucky. The city is well known for its manufacturing industry. Home at one point to the Owensboro Wagon Company, the Kentucky Electrical Lamp Company, Modern Welding Company, and the Texas Gas Transmission Company, Owensboro plays an important role in Kentucky's economy. For tourists, there are all types of unique festivals and celebrations to enjoy throughout the year. Outdoor concerts, fundraisers, jamborees, and other get-togethers draw visitors from all around the area. Some interesting attractions in the city include Owensboro Bridge, Western Kentucky Botanical Garden, and the International Bluegrass Music Museum. Paducah is a beautiful city that sits near the southwestern tip of Kentucky. Twenty blocks of downtown Paducah are listed on the National Register of Historic Places, and William Clark of the Lewis and Clark Expedition designed the entire town. The city experienced a major flood in 1937 that damaged many of the buildings and businesses in the area. Since then, Paducah has rebuilt itself into a modern tourist attraction. It is known for being the birthplace of many famous musicians and sports icons. Some of the most prominent musicians from Paducah include Ray Smith, Terry Mike Jeffrey, Mark Evitts, and Steven Curtis Chapman. 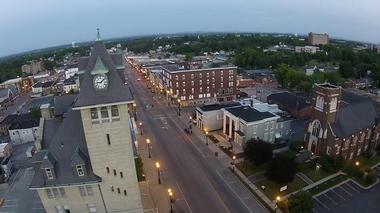 Home to 30,000 people, Elizabethtown is the 10th largest city in the state of Kentucky. The town was once home to the log cabin where Abraham Lincoln's daughter Sarah was born in 1807. Elizabethtown was also the site of a dramatic Civil War battle in 1862. 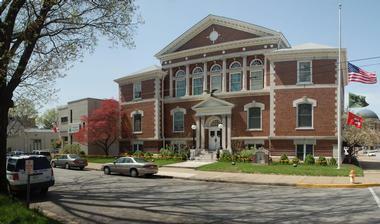 Modern Elizabethtown boasts a variety of cultural and natural attractions. There is a cluster of museums and event centers in the downtown area, and for outdoor adventures, visitors can check out the Bourbon Trail, Mammoth Cave, and the Bernheim Arboretum and Research Forest. Another popular attraction in town is Abraham Lincoln's boyhood home, which visitors can see throughout the year. 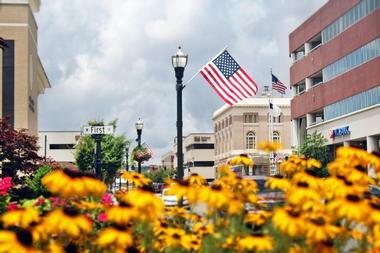 Known as the center of commerce for South-Central Kentucky, Richmond is located in the heart of the Bluegrass region. The city has a lengthy Civil War history as the site of the Battle of Richmond. The ferocious battle ended with Confederate soldiers capturing 5,300 men. 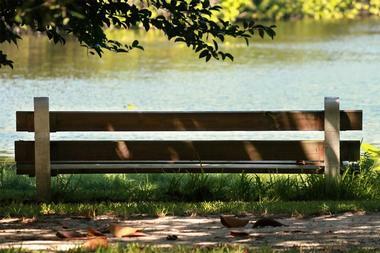 Now one of Kentucky's largest cities, Richmond is renowned for its extensive parks system. The Lake Reba Recreational Complex is the most popular of all the parks in town, but visitors also enjoy seeing Paradise Cove and Adventure Falls. Downtown Richmond is home to a collection of Victorian-era houses and hotels. London is a quirky town that is best known for hosting the yearly World Chicken Festival. The massive festival was created to honor Colonel Sanders, the icon behind the Kentucky Fried Chicken franchise. The celebration features the world's largest skillet, a 700-pound behemoth that is used to cook 7,000 pieces of chicken during the weekend-long festival. The World Chicken Festival began in 1989, and it features all kinds of family-friendly fun. Outside of the chicken festival, visitors entertain themselves by checking out the downtown area, the local parks, and entertainment venues. London is home to approximately 6,000 people. 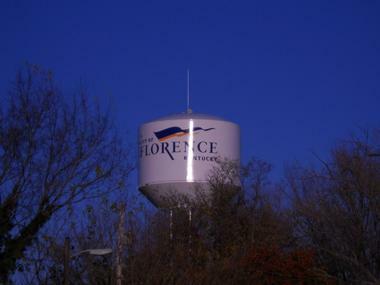 Florence is on of the fastest-growing cities in Kentucky, and there are plenty of options for entertainment as a tourist. Florence has nature parks, city parks, an extensive trails system, and a lively downtown district with stores, restaurants, museums, theaters, and more. 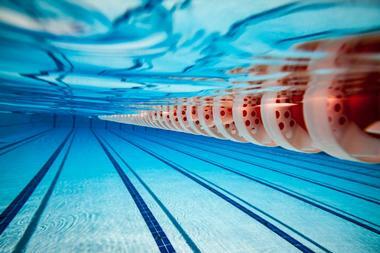 The city also boasts a large aquatic center as well as a popular golf facility. 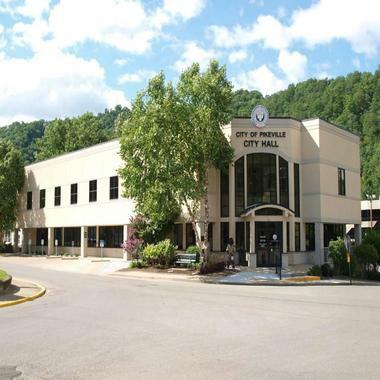 Pikeville is a picturesque city on the eastern edge of Kentucky. The city is the site of the Pikeville Cut-Through, a rock cut that is known for being the largest civil engineering project in the western hemisphere. 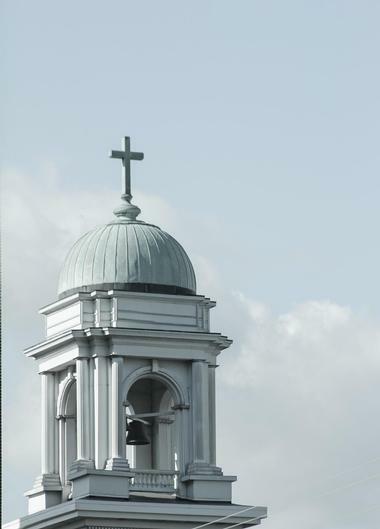 Pikeville experienced a development boom in the 1990s, and it now houses several prominent schools and businesses. It hosts a popular annual cultural festival called Hillbilly Days. The boisterous festival, which attracts craftspeople, artists, and musicians, was primarily created to raise funds for Shriners Hospitals for Children. Scores of out-of-town visitors flock to Pikeville to participate in the lively gathering. Henderson is a picturesque city located along the banks of the Ohio River. Known for being home to the Southern Cherokee Indian Nation, the city was named after Colonel Richard Henderson, a pioneer and land speculator. 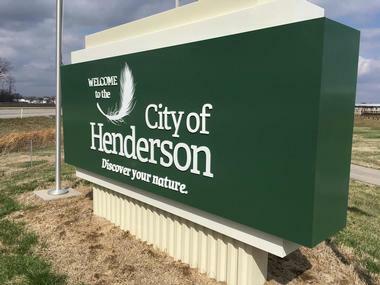 Henderson is also known for its strange weather patterns. The “Great Sleet of 1901” drenched the city in icy rain for three weeks straight, and the city has experienced cyclones, flooding, and other intense phenomena. For tourists, Henderson presents plenty of opportunities for entertainment because of its unique festivals. The Handy Blues and Barbecue Festival and the Bluegrass in the Park Folklife Festival are some of the most popular in the area. Nearly 20,000 people call Winchester home. This busy little city is a powerful driver of Kentucky's economy since it serves as the headquarters for several small businesses. Tourists can stay busy in town by touring the Ale-8-One Factory where one of Kentucky's most famous drinks is brewed. 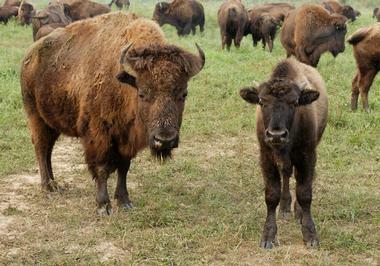 The Blackfish Bison Ranch is another popular destination, along with the Bluegrass Heritage Museum, the Civil War Fort at Boonesboro, the Hamon Haven Winery, and Lower Howard's Creek Nature Preserve. The city also boasts art galleries, entertainment venues, museums, yearly festivals, and other popular attractions. Mammoth Cave National Park is a spectacular destination in Kentucky's backwoods. Built to preserve the world's longest cave system, Mammoth Cave National Park is filled with massive caverns and deep labyrinths. 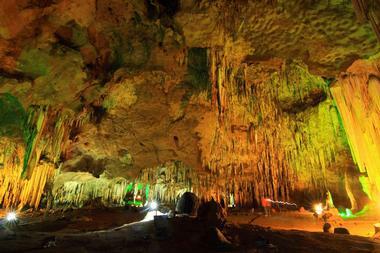 Visitors can get a glimpse at the park's incredible scenery by joining guided tours in the cave system. During the Mammoth Passage tour, guests can see the immense cave rotunda as well as prehistoric cave drawings. Mammoth Cave National Park also hosts the Frozen Niagara tour, where visitors can join a short walk to see how dripstone forms. The park is open year-round, and there are no entry fees. 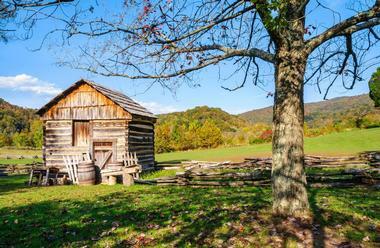 Cumberland Gap National Historical Park is fun destination for the entire family. Outdoor enthusiasts can stay busy for hours by exploring the park's 80 miles of hiking trails. Hikes in the park range from half-mile jaunts to grueling 20+ mile trips. There are also backcountry trails in the park that lead to remote wilderness areas. Additionally, the park has plenty of spots for wildlife spotting, sightseeing, and camping. For indoor activities, travelers can spend time learning about Cumberland Gap National Historical Park at the visitor's center, a space that is filled with interactive and informative exhibits. 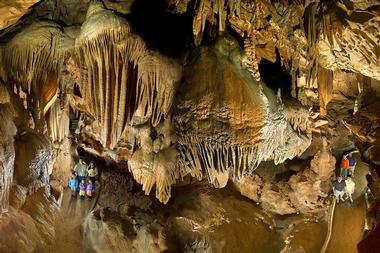 Celebrated as one of Kentucky's most beautiful cave areas, Diamond Caverns was discovered in 1859. For more than 100 years, tour guides have led people through the ornate chambers that make up Diamond Caverns. This popular tourist destination sits adjacent to Mammoth Cave National Park. Tours are offered at Diamond Caverns year-round, although they are limited in certain seasons. During the tour, visitors follow a paved cement path that winds its way beneath the stalactite-covered ceiling. The specially designed lighting throughout the cave emphasizes the most stunning features the Diamond Caverns area has to offer. 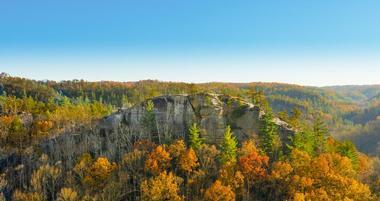 Visited by thousands of adventurous people each year, Red River Gorge in Stanton, Kentucky, is a designated geological area and a landmark listed on the National Register of Historic Places. This spectacular scenic area is filled with soaring red rock arches and towering cliffs. Hikers, backpackers, campers, rock climbers, and other adventure seekers can enjoy miles of solitude at this special destination. Hunting and trapping are allowed in the region, and there are designated spots for camping. Part of the Red River Gorge area is known as the Clifty Wilderness, a 12,000+ swath of forest that contains all sorts of hidden trails. 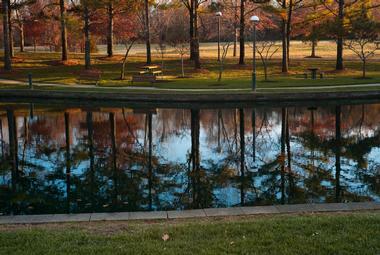 Known as the best park in Paducah, Bob Noble Park features a 5-acre lake with a beautiful bridge and gazebo. The spacious park also contains fishing piers, a walking path, a swimming pool, and two large playgrounds. Sports enthusiasts can stay busy at the tennis courts, basketball courts, the volleyball court, and the nearby skate park. Bob Noble Park is a popular venue for festivals, events, 5K races, community get-togethers, and other social functions. The Robert Cherry Civic Center, the Arts and Crafts Building, and the Anna Baumer Community Center are all located on park property. Cove Springs Park is a historic nature preserve that protects roughly 240 acres of land. This secluded park boasts wetlands, forested ravines, waterfalls, streams, and shelters/picnic facilities. Popular activities at the park include picnicking, walking, jogging, hiking, and observing nature. There is an archery range within the park where visitors can practice shooting a bow. Along the three-mile-long trail inside of Cove Springs Park, visitors will find interpretive signs that discuss the history and significance of the area. Cove Springs Park is open from 8 AM to dusk daily. Located on 104 acres of peaceful green hills, Elizabethtown Nature Park is home to the largest lake in Elizabethtown. The park also has a tranquil river that meanders through the quiet hills. There is a tunnel that connects Elizabethtown Nature Park to the north end of Freeman Lake Park, which has a vast trail system. The Hardin County Veterans Tribute, a granite star with bronze sculptures that honor local veterans, is located within the Elizabethtown Nature Park. The park is the perfect spot for walking, jogging, hiking, playing sports, picnicking, and relaxing with family and friends. The nature park is open daily from dawn until dusk. Laurel River Lake is a 5,000-acre body of water that sits on the London River District. The peaceful area features tree-lined cliffs, 200 miles of meandering shoreline, and scores of hidden coves. Visitors at Laurel River Lake enjoy boating, kayaking, scuba diving, and other water activities. 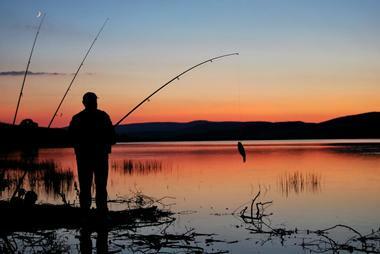 The lake is loaded with all types of fish, and summer trout-catching events are popular among locals. In the winter, there are areas for skiing and snowshoeing around the lake. Laurel River Lake also has campgrounds that can accommodate individuals, groups, and campers with boats. The lake is open to the public all year long. Land Between the Lakes National Recreation Area oversees more than 170,000 acres of forests, wetlands, and open lands. 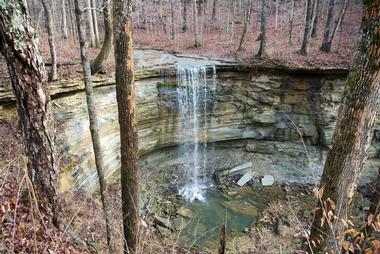 Covering a peninsula between Kentucky and Tennessee, the popular recreation area is one of the largest parcels of undeveloped forest in the eastern United States. 300 miles of natural shoreline surround the lake within the recreational area. Fishing, hunting, boating, kayaking, and picnicking are some of the pastimes that people like to enjoy here. 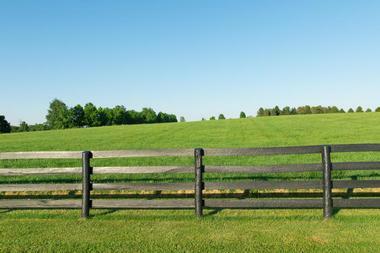 For a historical experience, guests can visit the Homeplace 1850s Working Farm or head to the Woodlands Nature Station. Located west of the Appalachian Mountains, the Daniel Boone National Forest boasts some of the most rugged and remote terrain in the state of Kentucky. The sprawling forest covers 708,000 acres of forestlands. There are three lakes within the forest as well as many rivers and streams. For tourists, Daniel Boone National Forest is an ideal place for hiking, camping, fishing, kayaking, boating, rock climbing, hunting, nature watching, and other outdoor activities. More than twenty-one counties are part of the Daniel Boone National Forest, and the recreational area is open all throughout the year. Fairmount Falls is a seven-acre recreational area open to permit holders. Located close to Louisville, this peaceful natural area boasts the tallest waterfall in the Louisville metro area along with some beautiful forested cliffs. The eight-acre park includes a mile-long walking trail that provides visitors with some excellent views of Fairmount Falls and the surrounding landscape. In order to obtain permits to Fairmount Falls, visitors need to download a permit form from the website below and send it into the address provided on the form. The Natural Areas Management office is in charge of processing applications. 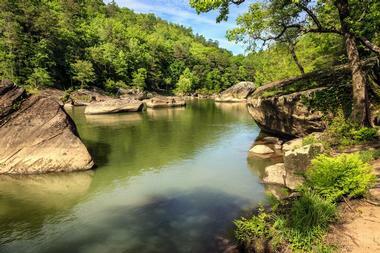 The Big South Fork National River and Recreation Area covers more than 125,000 acres of the Cumberland Plateau. Visitors will find miles of scenic gorges, sandstone bluffs, and deep ravines. 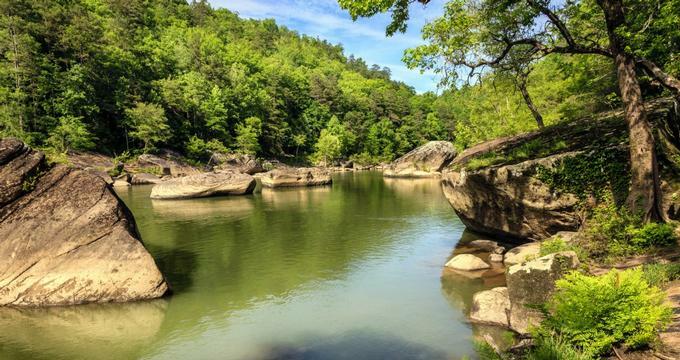 The Big South Fork Recreation Area is an ideal place for rock climbing, horseback riding, kayaking, whitewater rafting, hiking, and other adventurous outdoor sports. The park also contains designated spots for camping and picnicking. The Big South Form National River and Recreation Area is open year-round, although some facilities are inaccessible in the winter months.